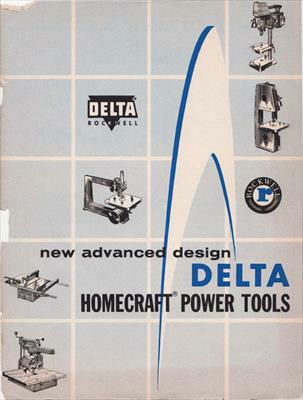 Publication Title: Delta Homecraft Power Tools Catalog (West Coast prices?) Form AD-1100W 3/60. Content like pink 1959 catalog, but prices ~3-10% higher. See 1959 p.2 note re. higher West Coast prices.